The freestyles stroke is a classic. It is the most popular stroke I see people swimming at the gym by far. Wouldn’t it be awesome to learn some tricks to help you go faster? The following tips are tried and true techniques that will improve the speed in your stroke. By engaging your core muscles (hip muscles, large back muscles, abs, side abs) while you rotate from side to side, you’ll go faster. Your core muscles can work really well in coordination with your arm muscles when performing the freestyle stroke. When you use these muscle groups together, you’ll be able to swim longer too. The core muscles have a lot more endurance than the muscles in your arms and shoulders, after all. Balance is key to performing this stroke in the fastest way without any drag. You want to keep as streamlined and horizontal to the water as possible and you want your movements to be seamless. This takes a lot of balance! Good news is, you can work on improving your balance in a variety of ways as well as in the pool. It takes a lot of muscle conditioning and practice. I recommend getting a balance board. They are fun and you can put them anywhere. You will still need to clock some of your practice time while you are swimming too. That’s the only way you will achieve the correct balance for the skills you need. Having the correct arm position will optimize your propulsion. To get the technique down right, make sure that your forearm and your hand are directly parallel and that they are facing backward. You will also want your elbow lifted above your hand during the stroke. This angle will help you catch the water and really pull. 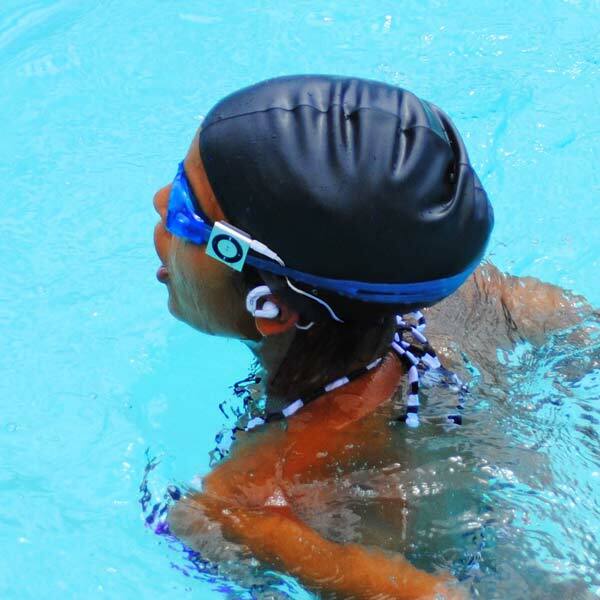 A different strategy for swimming faster would be to try training while listening to music. Underwater Audio has the perfect waterproof shuffle for the job. What are some of your tricks for speeding up your freestyle stroke? Share your ideas in the comment section below.